Wayne Kee, NASA Emergency Management Officer, Kennedy Space for 27 years; prior to his assignment with the NASA Protective Services Office, Wayne served 24 years as an Air Force Fire Chief. 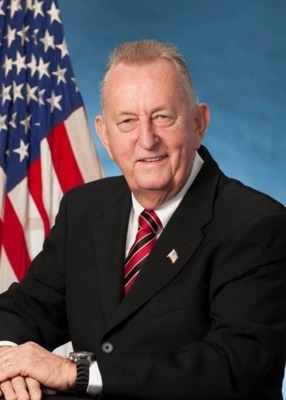 He holds a Bachelor of Science in Fire and Safety engineering from the University of Cincinnati and was the first emergency manager in NASA to obtain the Certified Emergency Manager credentials, serving as the Incident Commander and Emergency Operation Center Manager for 7 hurricanes affecting KSC including boots on the ground assistance during Katrina, Hugo and Andrew. Wayne is a Viet Nam Veteran and was recently inducted into the Brevard County Public Safety Hall of Fame for his lifetime of service to NASA, the USAF and our joint partners in Brevard County, the state of Florida and our nation. Amassing more than 50 years’ service in Fire Rescue and Emergency Management. Wayne is a resident of Rockledge FL, where he and his wife Susan are active in their church, and community.